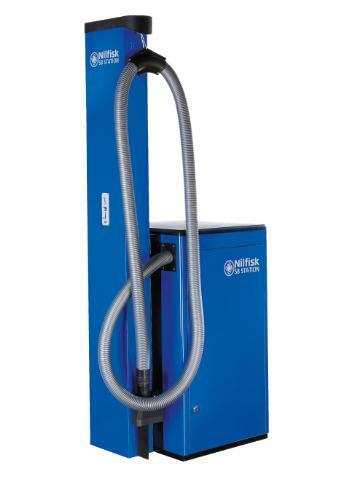 These coin-operated Self-Service vacuum cleaners fulfil all special requirements for filling stations and are built for outdoor use in all kinds of weather. Available with either single or twin motor operation and a simpel cloth filter system for quick and easy maintenance. The SB Series are coin and/or token operated vacuum cleaners that are in compliance with all requirements needed for use in filling stations. These vacuum cleaners are specially designed for the rigors of outdoor use in all kinds of weather. Users/customers have been an inspiration throughout the development of the SB Series; therefore the users/customers will find these vacuum cleaners very easy-to-use. We have not forgotten the owners of these vacuum cleaners. Maintenance is quick, simple and fast so that the machine is always ready to work for your users/customers with a minimum of effort on your part.